Sewer damage is nothing to ignore, especially if it affects two or more floors at your office. The next time a toilet overflows in your Brevard, NC office probably won’t be the first occasion, nor will it likely be the last. This situation may be unsightly and unsettling, but it won’t often cause great alarm. 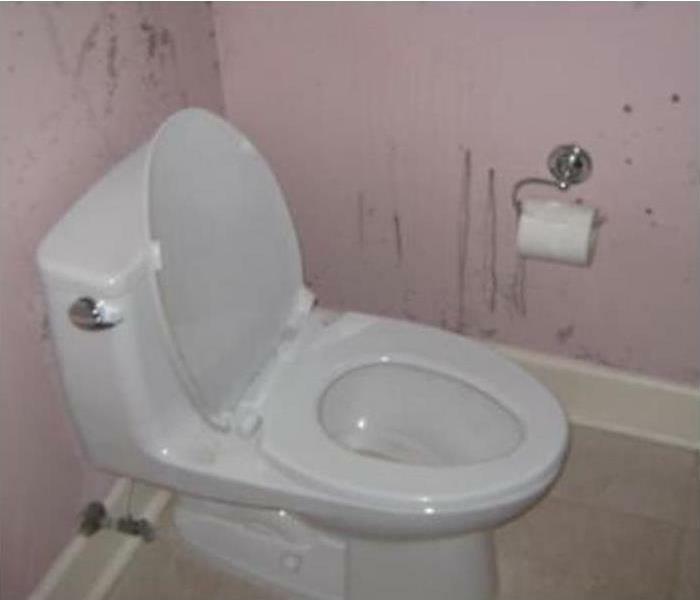 However, the most severe toilet flooding could introduce sewer damage to your building. This may result in problems with the floor, including at the point where the flooding begins as well as the floor below. It’s vital that you and your building manager know how to properly handle this incident. Overflowing toilet water could bring black water into the building, which contains harmful materials. The water could damage the floor, subfloor, ceiling tiles and drywall. This sewage problem could shut down your operations for a time. 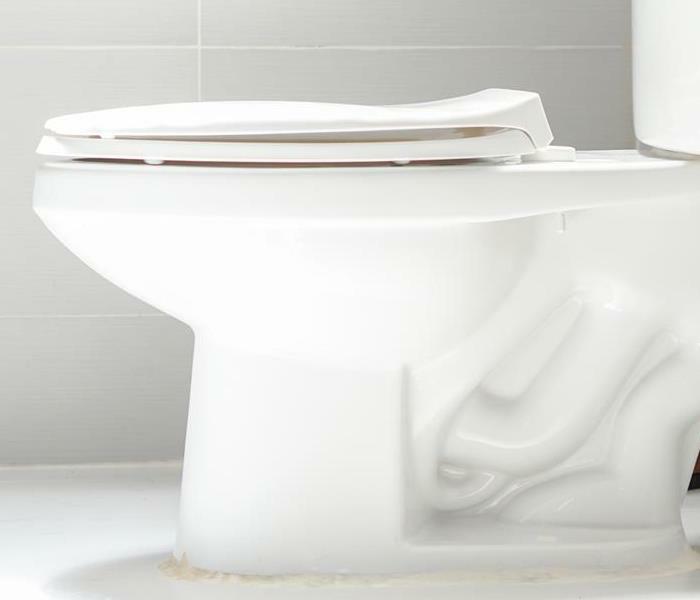 If a toilet overflows and damages parts of two or more floors, don’t panic, but quickly get to work on removing the wet materials. Put on a pair of gloves, along with other protective gear, and tear out the affected ceiling, flooring and drywall, as needed. Remove other wet and damaged items as well. Then, before you try to tackle much more on your own, call a professional sewage company that specializes in commercial cleanup. A cleanup team will inspect the sewer damage and evaluate the next steps. The crew will alert you as to whether you need to evacuate the building. The technicians will not only clean up the water, but they’ll dry and disinfect every square inch the water touched. The professionals will replace and restore all damaged parts of your building too. 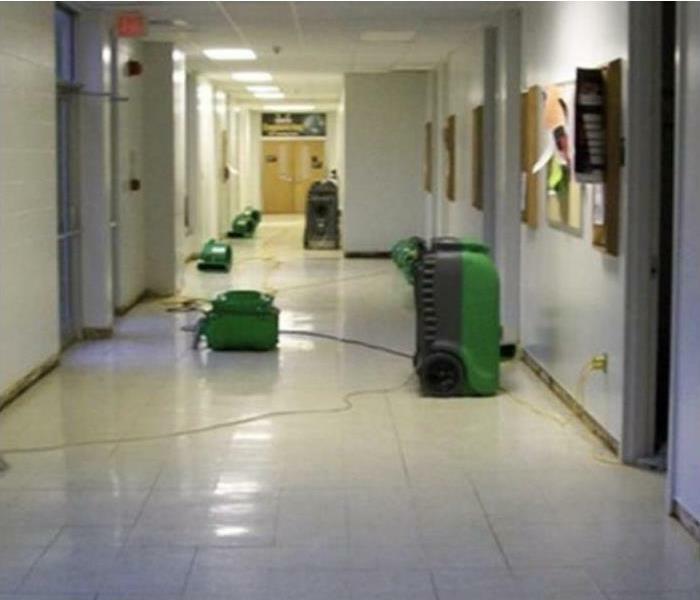 Sewer damage is nothing to ignore, especially if it affects two or more floors at your office. Fortunately, you can play a key role in the mitigation process. The right professionals will do a thorough job in making your workplace safe once more. Mold spores can easily spread throughout a building and identifying a high number of spores in a timely manner is often important. The mold cleanup process can vary depending on how much or how little mold has spread in a building. It can be valuable to understand ways you can stop the spread of mold in your business in Brevard, NC. Mold spores can easily spread throughout a building and identifying a high number of spores in a timely manner is often important. A high number of spores often occurs as a result of water damage, and the sooner the cause of the growth is identified, the sooner cleanup can actually begin. If water is leaking or an area has been flooded, it can be helpful to turn off the water to your building in order to decrease the likelihood of mold spreading to other areas of your building. Mold containment is a crucial step in the mold cleanup process that mold damage and remediation experts use to prevent mold from moving to other areas in a business. Containment methods involve isolating the areas that are affected by mold and taking various steps to stop the spores from leaving the contained area. In order to bring the number of spores down to an appropriate level, air filters are used. Since moving air makes it much easier for mold to spread, fans are also turned off along with heat and air conditioning. After mold has been identified and contained, items that have been damaged are removed from the business. Though containment methods and air filters make it less likely that mold will spread, taking items that have been damaged by mold further reduces the likelihood of mold spreading. After damaged items have been removed from the business, professionals will determine whether items can be restored or if they should be replaced. Knowing ways to keep mold from spreading can make the mold cleanup process cost-efficient and quick. Identifying mold in a timely manner, containing mold and removing items that are moldy can help to prevent mold from spreading throughout your property. 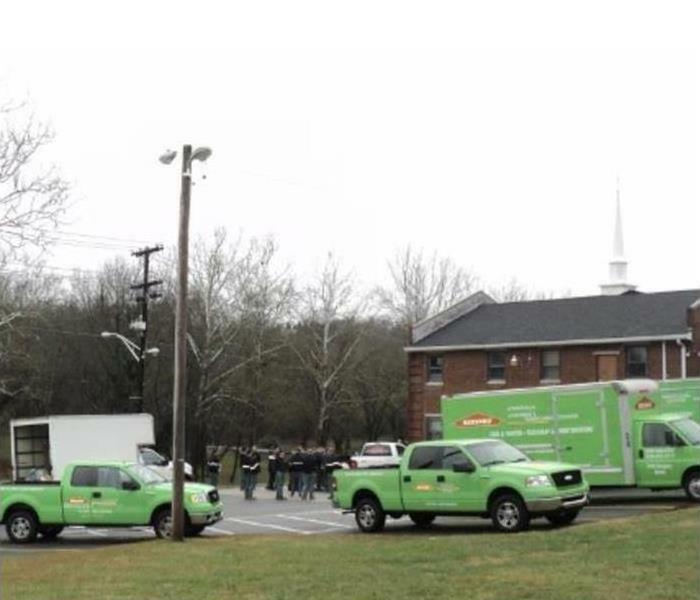 SERVPRO of Haywood & Transylvania Counties is always prepared to take care of our customers. Mitigation and restoration companies can provide insurance agents and adjusters with information they need through a claims inventory system. This system supports the timely processing and settlement of each insurance claim. Discover five useful features of the SERVPRO Claims Information Center. After a local franchise assesses damage at a commercial property, mitigation and restoration professionals will calculate an estimate. The Claims Information Center makes estimates and information about damage available to insurers. A claims inventory system can enable insurance representatives to perform research. This system makes it easy to access information about the types of claims made in a county, state, region and across the country. This information enables insurers to compare an estimate to data for similar types of damage to ensure that the quoted cost is reasonable. Data about causes of loss in the surrounding region can also be useful when settling an insurance claim. This can help an insurer assess risk levels and make informed decisions about coverage and rates. Comparing mitigation and restoration job costs is also important. This information may expedite claim settlement by ensuring that an individual estimate is within the average price range for the type and degree of damage. The Claims Information Center also makes it easy for insurers to check on the quality of service offered by a franchise location. This information includes response times and performance data that can help an insurance agent determine whether a local SERVPRO franchise is the right choice for a job. These features set the Claims Information Center apart from other inventory systems. Insurers should seek out a mitigation and restoration company with an electronic system that makes it easy to do comparative research and access insurance claim information for a commercial client in Brevard, NC. Water can quickly cause a great deal of damage to a home, and it’s often important to turn off the water in a home as soon as possible. Bursting pipes can quickly wreak havoc on homes in Waynesville, NC and feeling uncertain about what to do next can make the situation more stressful. Knowing how to react when pipes have burst can be useful to homeowners. When a broken or busted pipe causes flooding in your home, it’s common to feel stressed and overwhelmed. Water can quickly cause a great deal of damage to a home, and it’s often important to turn off the water in a home as soon as possible. Knowing how to turn off the water in your home prior to a pipe break can save you valuable time and can mitigate the amount of damage that occurs. After you’ve stopped water from continuously flowing from the bursting pipes, the next step is to make an insurance claim. Your insurance company can inform you what costs will be covered and can provide you with important information about steps you should take next. Generally, insurance companies will send an adjuster to view and document the damage in your home in order to give you an accurate estimate. One of the most important steps homeowners can take after the damage has been mitigated a claim has been made is to call cleanup services. Though you may be tempted to try to fix your broken pipe on your own, the process can often be complex. Additionally, a cleanup service will know how to safely sanitize and restore your home without causing further damage to the structure of your homes or the items within the home. It is difficult to identify any type of mold by sight alone. Almost everyone has encountered bread mold. Mold converts bread starches into sugars, which serve as a high-energy food source to fuel fungus growth. Here are four genera of mold commonly found on bread. Some species of aspirgillus produce mycotoxins. Try to avoid eating bread on which any type of mold is growing. There are more than 500 species of Cladosporium. This variety of mold has a few common characteristics when growing on bread. Look for smooth round spots that are black, brown or dark green in color. Cladosporium may also have a strong odor. Dispose of contaminated bread and adjust storage conditions to prevent reoccurrence. The penicillum genus often appears as another fuzzy variety of mold on bread. This type of mold may be distinguished by its blue, green, gray or white color and fuzzy texture. Penicillium is a common type of fridge mold. Avoid eating contaminated bread, as these species of mold may produce mycotoxins. The black color of this mold species will emerge over time. Left alone, it may grow to cover the surface of bread. It is possible to prevent the spread of bread mold by maintaining low humidity levels and using proper food storage and containment methods. If fungus growth becomes a pervasive problem at a home in Brevard, NC seek the opinion of a professional mold testing and remediation service. Understanding mold damage and the process of mold growth is a little intimidating for those who don’t work for a professional mold removal restoration company. Mold damage is problematic, which is something most people recognize right away when they find mold in the home or commercial mold damage at work. However, what most people don’t know is mold damage and mold growth are much more complex, and people should never attempt to handle mold removal without the help of a professional restoration company well-versed in mold removal, remediation, and mitigation services. Mold is fungus, and it requires professional remediation and mitigation to get it under control. Hiring a professional restoration company isn’t just a nice idea when people find mold in the home or commercial mold damage. It’s a requirement. It’s not just black mold people must worry about, either. The common belief is it’s only black mold people must worry about, but all mold has the potential to turn toxic if it’s left untreated. 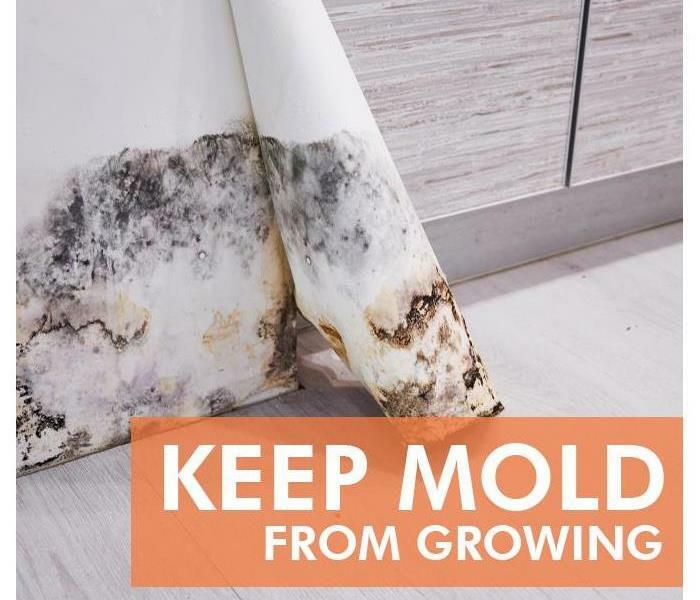 Mold is a fungus that spreads rapidly, grows quickly, and most people have no idea if they’re dealing with regular black mold or toxic black mold. Mold spores are in the air everywhere, and they need very specific conditions in which to grow. When mold is found in even the smallest around, sometimes it’s mistaken for mildew and people might try to remove it on their own. All this does is cause the fungus to release its spores back into the air where they’ll spread and grow more rapidly. Mold growth occurs in less than three days, and that’s what makes it so dangerous. If a flood occurs, it can cause mold in the home or commercial mold damage to occur immediately. It’s best if home and business owners can remove the water quickly and efficiently to stop and/or slow down mold growth and mold damage. It can also cause mold growth behind walls people don’t recognize without knowing the signs of mold damage that require professional mold removal, remediation, and mitigation. If there is mold growth behind walls in the home or office, it’s going to become noticeable most often by the presence of a smelly odor. This smelly odor is one people try to mask with whichever form of deodorization works best for them, but the deodorization only covers the smell. It becomes obvious quickly the smelly odor won’t go away permanently with deodorization, which means it might be mold growth behind the walls causing the problem. Most often it’s leaks in a pipe in the wall or a flood damage that causes mold growth behind walls. Mildew and dry rot are two more common signs of mold damage. Mildew needs the same conditions mold needs to grow, which is a moist location in a warm area with plenty of humidity. If anyone notices mildew at home or work, it usually means dry rot is somewhere and mold is probably growing. Dry rot isn’t something people usually notice as a sign of mold, but it doesn’t occur without too much moisture, so it helps with this issue. The best thing people can do when they find mold in the home or commercial mold damage is call a professional mold removal restoration company and turn off all the air and heat in the building. This causes mold spores to spread more rapidly, and it’s helpful to do this prior to the mitigation and remediation process beginning. Mold is a problem, but it’s best handled right away and by the professionals for those who want to handle the problem correctly the first time. 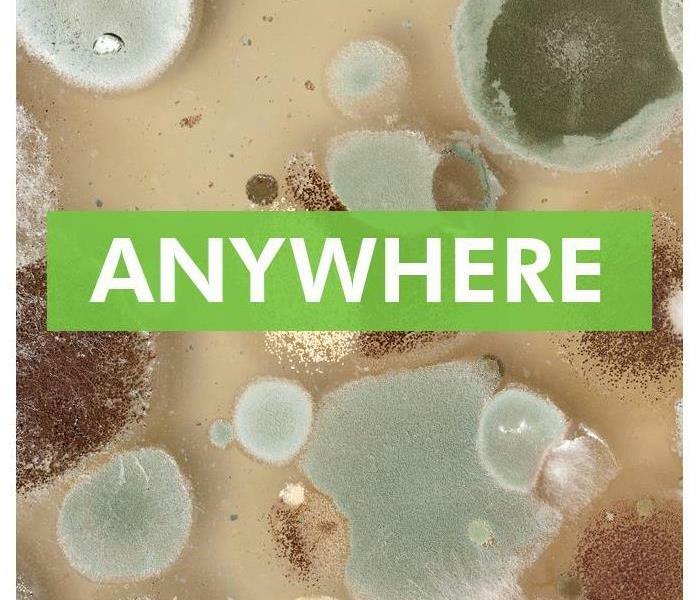 Visit http://www.SERVPROhaywoodtransylvaniacounties.com for more information on mold. Mold growth is never a good thing. How someone deals with the mold damage, and more importantly, the mold removal, is of the utmost importance. People don't want to deal with the problem on their own as that is when they could end up causing the mold to spread. It's best to contact a restoration company the moment someone sees mold. People might not know what the problem is right away. Whether it's mold in home or commercial mold damage, it's important to learn what kind of fungus it is. Mold and mildew are both forms of fungus. Mildew is a lot easier to treat than mold, especially black mold. There might be a smelly odor coming from the mold growth. If it's mildew, then it's easy enough to clean with a mild product from the store. However, if it resembles black mold or any other kind of mold growth, it's best to call a company that specializes in mold removal to get an expert opinion. No one should attempt mildew or mold removal on their own, especially not until they know what they are dealing with. Mold growth behind walls can start to create a smelly odor over time. Many people try to handle deodorization on their own by spraying a room deodorizer. However, the smelly odor is because of the mold damage. Deodorization is needed when there is commercial mold damage, black mold in a home, as well as when there is dry rot. Basically, any time that there is a smelly odor, it's important to schedule deodorization. However, this step needs to be completed only after the mold growth behind walls has been cleared out. Once all the mold is out of a home or business, then it's possible to start working on clearing out the smell. Mitigation is often the first step when dealing with mold growth. There might be water damage that is causing the residential or commercial mold damage. Once it's identified where the problem is and what's causing it, mitigation can begin, followed by remediation. Once the mitigation is done, it's time to deal with the actual problem. The mold shouldn't be disturbed unless it's being done by a professional restoration company. The black mold, mold growth behind walls, or any other fungus could easily spread when disturbed because of the way spores become airborne. No one wants to deal with black mold or any other fungus spreading. It's why a restoration company needs to be the one to focus on the mold removal because of their equipment and techniques. The remediation will start with an inspection, followed by a plan of what needs to be done. If there is mold growth behind walls, that will need to be cleared out. If there is black mold, then the building might need to be contained for safety purposes. Whether it's mold in home or commercial mold damage, the same general rules are followed. 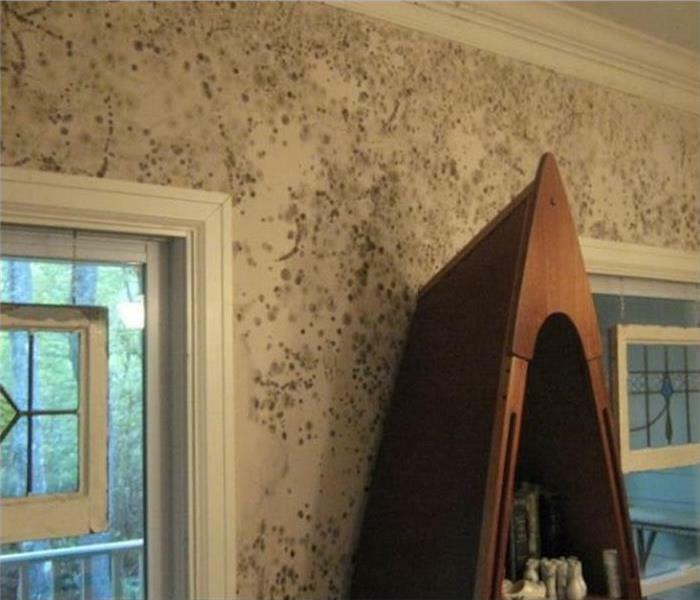 Mold damage is not something to play around with. Once the mold removal is done by a restoration company, then it's a good idea to have a final inspection. This means having a company come in to check to see if there is still any mold in home or mold damage anywhere around. Mitigation and remediation might then need to be scheduled once again. From there, a restoration company can begin improving the home or business. The remediation will include repairing and replacing items that experienced dry rot. It's not uncommon for flooring and even beams to experience dry rot. However, once the mold spores are out, there will be no more dry rot. Deodorization can then occur and the building is back to normal. Understanding how to deal with mold damage will make it easier for home and business owners to overcome fungus problems. What Types of Storm Restoration and Storm Damage Help Do Business Owners Need? Even the most mild of storms that passes over a building can cause storm damage that the owners can see from the ground and when they get closer to the building. River flooding that occurs when rain causes a local river to overflow can lead to flooding across the city that brings flood water and ground water inside a business. Until the building is dry, safe and structurally sound, the owners cannot let anyone else inside. For any type of water restoration or home restoration, property owners can call on local experts and let them get to work cleaning and repairing the building. These professionals offer all the help that building owners need. Many commercial building owners call for help after experiencing some wind damage, especially when it combines with hail damage. Hail looks like large chunks or balls of natural materials that strike the building and leave behind both large and small divots as well as holes. Any hail damage that strikes the top of the building can cause roof damage. A simple roof leak that existed before the storm can worsen and lead to flooding inside. Roof repair experts can fix any holes left behind by the hail on the roof. Anyone running a business in a climate prone to winter storms will find their buildings are susceptible to ice damage like an ice dam. Ice damming is a problem that occurs whenever the temperature rises above the freezing point and then drops back below the freezing point. The water expands and contracts as it freezes and melts, which allows an ice dam to form. 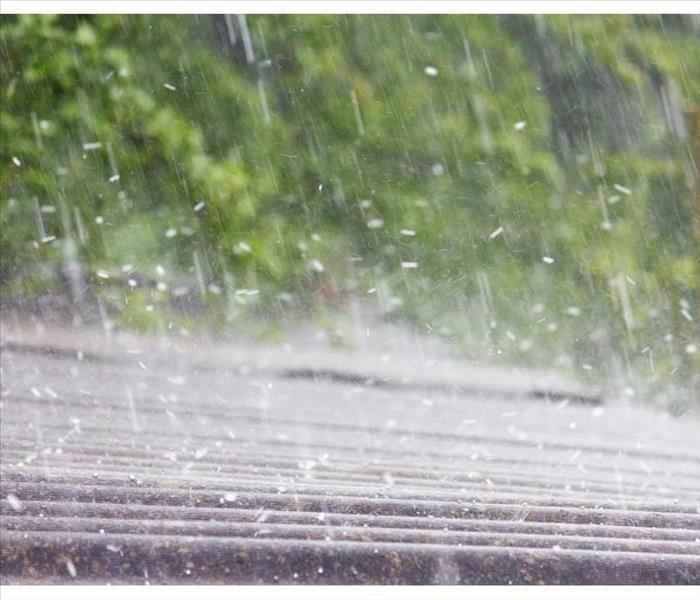 Ice damming can cause the gutters to come off the roof and form channels that lead to a roof leak. This roof damage requires professionals who can fix the damage done by the ice damming. Frozen pipes are common problem that occurs before, during and after a winter storm. The already cold temperature of the ground water moving through the pipes can drop and freeze, which causes frozen pipes. Those frozen pipes can then break and cause ice damage inside the building that requires a flood pump to fix. Other types of ice damage may require professional storm remediation. In addition to storm damage and wind damage, building owners must also be aware of potential hurricane damage. A hurricane can cause changes to the atmospheric pressure, which makes windows break and the glass inside doors to break. The high winds can cause roof damage, but the rain that comes down can cause flooding inside the building. There is a risk of river flooding following a storm too that causes further hurricane damage. Storm restoration professionals can help with a roof repair caused by flooding, use a flood pump to remove ground water and flood water and use other techniques designed for storm remediation. Visit http://www.SERVPROhaywoodtransylvaniacounties.com for more information on storm damage. One of the most devastating natural disasters may be a flood. Not only can floodwater cause an incredible amount of water damage, but it can also lead to mold growth and even sewage loss. This combination often leads to a horrific odor left behind in flooded properties. If you have suffered from a flood in Waynesville, North Carolina following the three steps below can help rid your building of the smell of mold and mildew. The first step in cleaning up after a flood is to remove the water. Whether you are left with a few inches or several feet of water, the cleanup process cannot begin until the water is gone. The longer water stays in the building, the more opportunity there is for mold growth. Additionally, black water poses many serious hazards, so it is important to remove it as quickly as possible. This feat can be accomplished with a shop-vac or sump pump. Once floodwater is removed, you can start the cleaning process. After tearing out wet materials, scrub every solid surface in the building with water, cleaning products, and disinfectant. Walls, counters, and even the flooring needs to be scrubbed thoroughly to help remove the odor. Disinfectant helps kill germs from sewage loss, making the property safe to use again. However, it can be challenging to remove black water without coming in contact with it, so you may want to contact a professional restoration company. After giving your building a thorough cleansing, some of the odor should go away. To remove any lingering smell, sprinkle baking soda over flooring and scrub walls with a mixture of water, vinegar, and baking soda. Air fresheners may also be useful in deodorizing your building. When you try to remove the smell after a flood, simply deodorizing will often not take care of the problem. Mold growth can happen in hidden places when water is not completely removed, and sewage loss can leave a horrible scent for a long time. These three steps are crucial in getting your building to smell fresh and clean again. Visit http://www.SERVPROhaywoodtransylvaniacounties.com for more information on flood damage. The average home and business owner doesn't have even a working knowledge of the sophisticated pipe systems that make for a smoothly functioning environment. Water damage professionals certainly know these systems well, though. They are often to blame for accumulating water in the home. Over time, these pipes can corrode, leading to a pipe break that eventually results in a flooded home. The pipe break may be confined to a single room, such as the kitchen and bathroom, where water pipes reside. 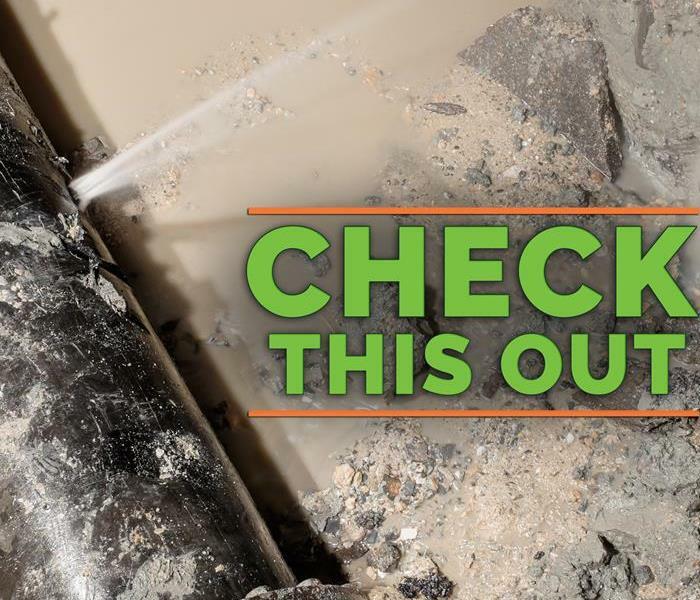 Water damage from a pipe break is a common reason to call restoration professionals. A restoration company can assess water in the home or water in the business and determine if it is a result of a pipe break. When pipes break, it's natural to not immediately know the cause of the leak. All the home or business owner might know is that water is leaking out into the floor and the flooded home is a cause of distress. Even more distressing, water cleanup after a broken pipe can result in a messy cleanup. Sometimes these pipes are corroded and just plain old, leading to dirty water accumulating on floors and the bottoms of other surfaces. There's no reason to panic and let water damage invade a kitchen or bathroom. A restoration professional can quickly be on the scene to assess the situation and begin mitigation. In the case of broken pipes, the water is likely to be confined to a single room. If the break is big enough, though the water can quickly accumulate on the floor and begin to spill over into other rooms, making it vital to get speedy water cleanup professionals on the scene. Having experience in these situation, restoration professionals will either know how to stop the leak altogether or they will know exactly what other professionals to bring on the scene to halt the accumulation of water in the home or water in the business. Mitigation involves several steps that the restoration company will be able to take on first thing upon arrival. They will inspect the area and determine the cause of the water accumulation. Sometimes it's coming from flood damage, sometimes from a supply line break, and sometimes from other sources of water in the home or water in the business. When it's from a broken pipe, it's vital to have the leak stopped before water cleanup. Once they've inspected and stopped the leak, mitigation continues to prevent further damage. The restoration company will begin by inspecting the scene, extracting water from the area, drying and humidifying the area, cleaning and sanitizing the area, and then restoring anything that was damaged in the break. A supply line break, flooding, or leaking appliance will differ from a pipe problem. Experienced mitigation experts generally know when to skip a step or more fully concentrate on a particular step. Water damage from a broken pipe can damage flooring very quickly, spilling over onto carpeting, and quickly getting on furniture. Restoration will be necessary if the leak continues for long enough. Water cleanup steps like drying will be an essential part of the water cleanup efforts. 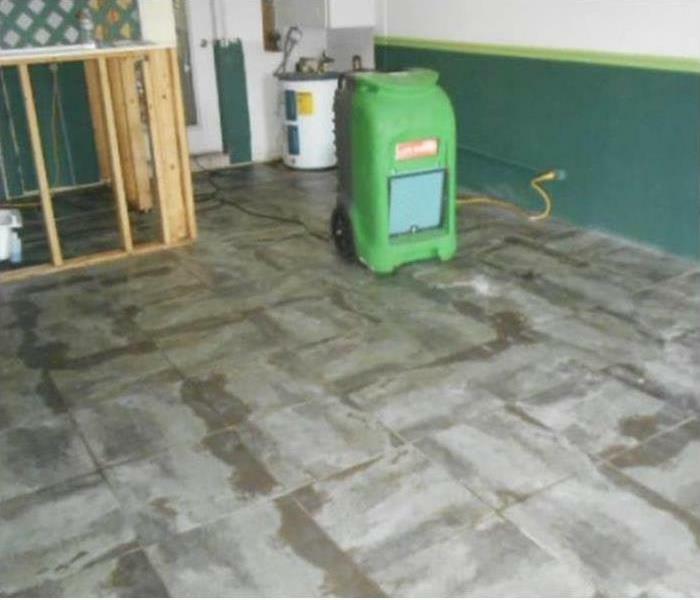 If you're wondering why you can't do the drying yourself, keep in mind that deep water is going to quickly begin to damage the structure of flooring. Time is of the essence and only a restoration company is going to have the drying equipment that makes a speedy cleanup possible. The same goes for when pipes leak water in a business. The professionals are the only people with the necessary equipment. Mitigation experts are capable of extracting and cleaning water due to broken pipes, but they're also capable of helping people who have flood damage from a flooded home, or people who have water due to a supply line break. Flood damage can be an especially tricky cleanup matter, due to the amount of mud and chemicals often found in flood water. No matter what the reason - a supply line break or a flooded home that causes flood damage - you can always call on restoration professionals to get the job done. Visit http://www.SERVPROhaywoodtransylvaniacounties.com for more information on water damage. 3/7/2019 - Which Mold Species Grow On Bread? 2/19/2019 - What Types of Storm Restoration and Storm Damage Help Do Business Owners Need?